South East Central Railway Recruitment 2018- SECR Jobs for Apprentices at Raipur/Nagpur Divisions, ALP, Technician, Junior Engineer, ECG Technician, Field Worker, Health and Malaria Inspector, Pharmacist, Staff Nurse, Good Guard through General Departmental Competitive Examination (GDCE) 2018. 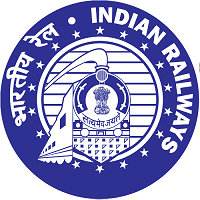 The detailed eligibility and application process of South East Central Railway Recruitment are given in below. and also possess National Trade Certificate in relevant trades issued by NCVT/SCVT. Taking the average of the % age marks obtained by the candidates in both Matriculation (with minimum 50% marks) and ITI examination giving equal weightage to both. How to apply for South East Central Railway Recruitment 2018? All interested and eligible candidates can apply for this position in online latest by 9 September 2018. 3 years Diploma or Degree in Engineering in Mechanical / Electrical / Electronics/ Automobile Engineering. Junior Engineer: Three years Diploma in Engineering in the relevant disciplines from a recognized university. B.Sc. (Chemistry) plus (i) One year Diploma Health /Sanitary or (ii) One year National Trade Certificate (NTC) in Health Sanitary Inspector awarded by National Council for vocational training. Good Guard: Degree from recognized university or Equivalent. On qualifying written examination, candidates will be eligible for next stage of selection i.e. Aptitude Test/Typing Test/Document Verification as per their merit. The Written examination will be Groupwise for Group A & Group B.
for each question shall be deducted for every wrong answer.